Mae Jemison is, quite simply, one of the most impressive people that you will ever encounter. She is a physician, Peace Corps volunteer, teacher, actress, astronaut, accomplished dancer, and founder of two technology companies. She went to Stanford University when she was just 16 years-old, and she earned her doctorate in medicine from Cornell University when she was just 25. In less than a quarter of a century, she accomplished more than many people do over the course of their entire lives. But her list of accomplishments doesn’t stop with the aforementioned. She speaks four languages: English, Russian, Japanese, and Swahili, and she has two honorary doctorates. One of her most notable accomplishments (certainly, the one that places her high on my list of “scientists to remember) came in 1987. At the age of 31, she became one of the fifteen candidates selected out of more than 2,000 people for NASA’s astronaut program. Then, in September of 1992, Jemison served as the science mission specialist on STS-47 Spacelab-J, becoming the first woman of color in space. Ultimately, STS-47 was a cooperative mission that was forged between the United States and Japan. 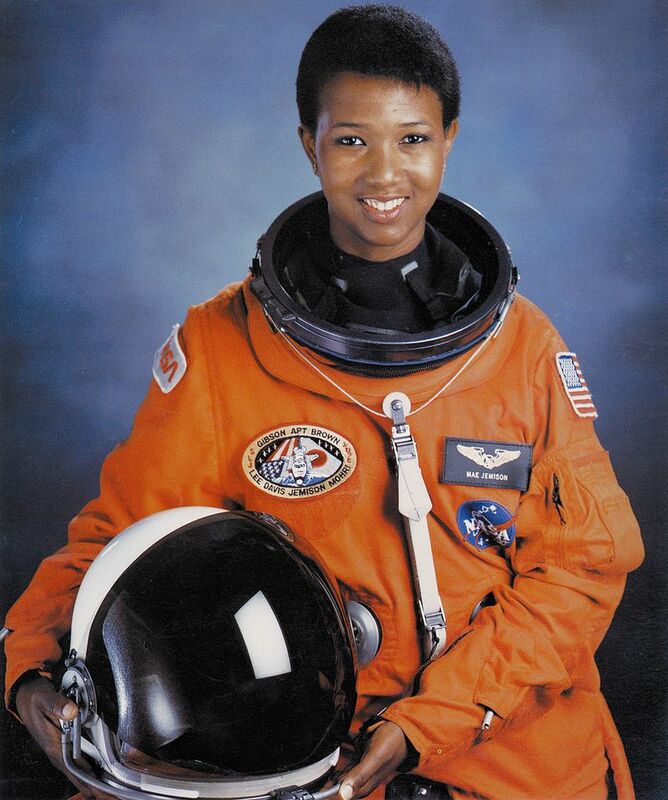 During her eight-day mission in space, Jemison went around the Earth 127 times. At the completion of her first space flight, Jemison logged 190 hours, 30 minutes, and 23 seconds in space. That said, Jemison notes that being both a minority and a woman came with its fair share of adversity, noting that majoring in engineering as a black woman wasn’t always easy. Jemison left NASA in 1993, but she certainly didn’t enter retirement. 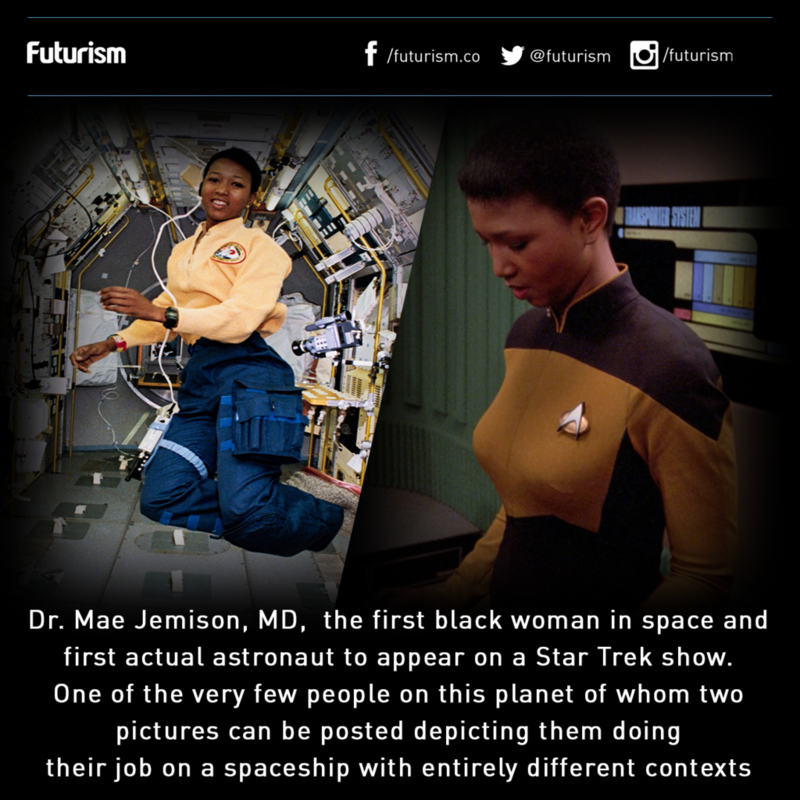 In 1993, Jemison became the first actual astronaut to appear on Star Trek. LeVar Burton, who played Geordi La Forge on Star Trek: The Next Generation, learned that Jemison was a Star Trek fan and asked if she would like to be on the show. She ultimately played Lieutenant Palmer in the episode “Second Chances,” which was the 150th episode of the series. In 1994, she founded The Earth We Share (TEWS), an annual international science camp where for students aged 12 to 16. The goal of the program is to create a generation of young people who are invested in science and how it can be applied to make our world a better place. To this day, Jemison continues to work towards increasing scientific literacy and bringing the scientist in all of us to light.